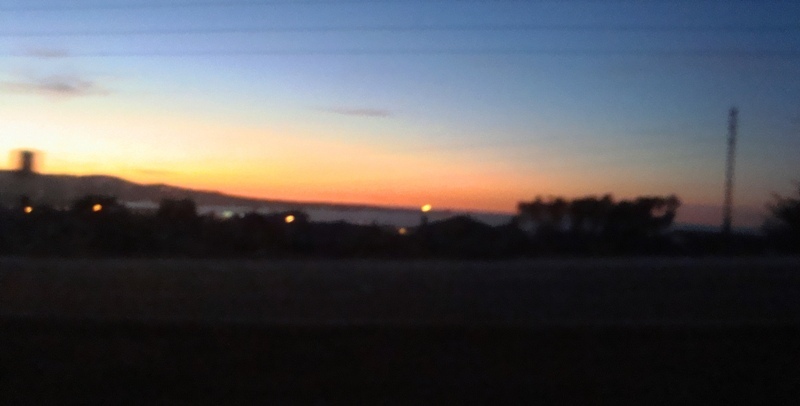 Driving home through Fort Ord in the evening, I point my camera west without looking through the viewfinder. The lights are coming on in the homes of Seaside. People are just coming in from work, getting dinner ready. I have no idea who General Jim Moore is, but I’m driving up a street named for him. Everything in this area has a military theme. One of the roads is named “Lightfighter.” Another is named “Bataan.” Reminders of battles, victories, defeats. Just so we know. 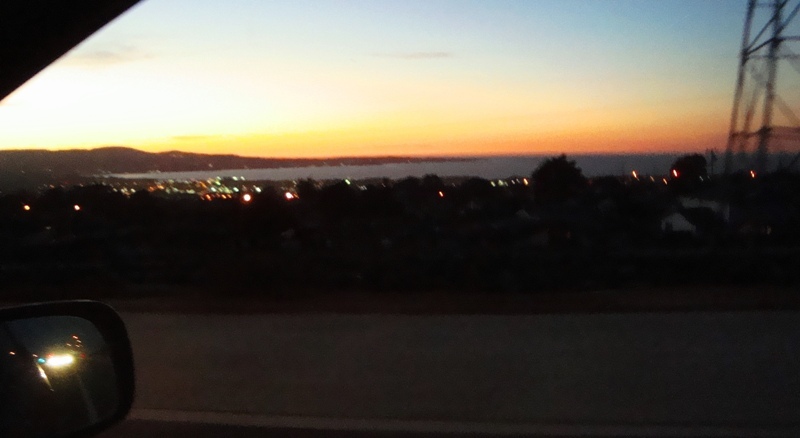 I turned the car around for a minute, and pulled over to get a shot of the bay near Monterey and the lights of Seaside. 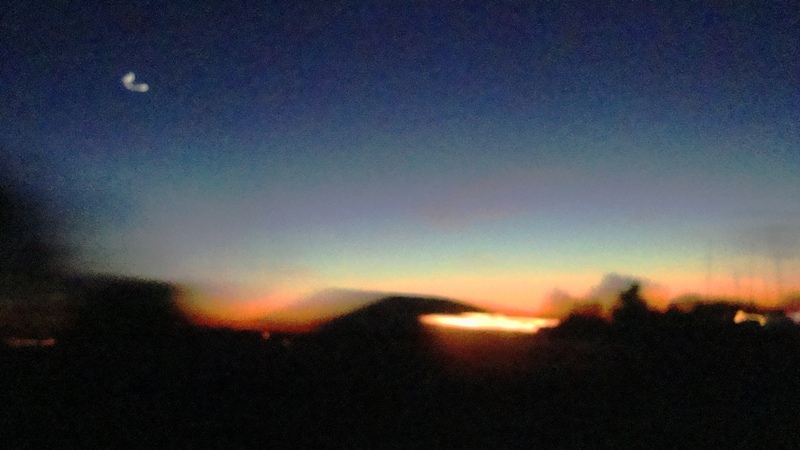 This time, I actually looked through the viewfinder and focused, kind of. I read somewhere–Richard Henry Dana Jr.’s Two Years Before the Mast–that Monterey in the early 19th century was where whaler and sealer ships stopped to refuel–and to party. 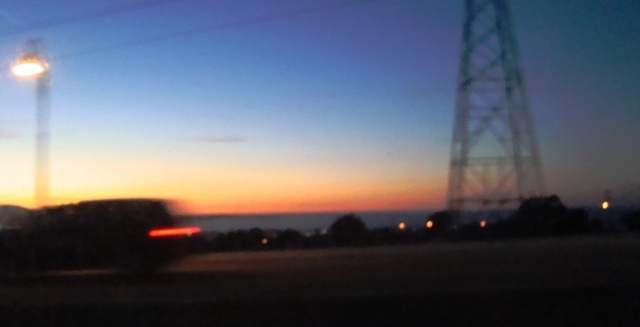 Blurred shapes and lights move past me as I drive. I almost said “us,” the camera and I.